American Diabetes Association Diabetes Alert Day ® is on March 26, 2019! Observed annually on the fourth Tuesday in March, Diabetes Alert Day is a one-day “wake-up call” that focuses on the seriousness of diabetes and the importance of understanding your risk. We encourage you to find out if you – or someone you love – is at risk for type 2 diabetes by taking this quick and simple Diabetes Risk Test. 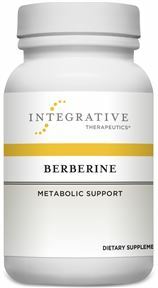 Call and talk to our pharmacist to see if Berberine is right for you.